Compare the best online dealer prices before you buy Scottsdale 20 ounce silver . 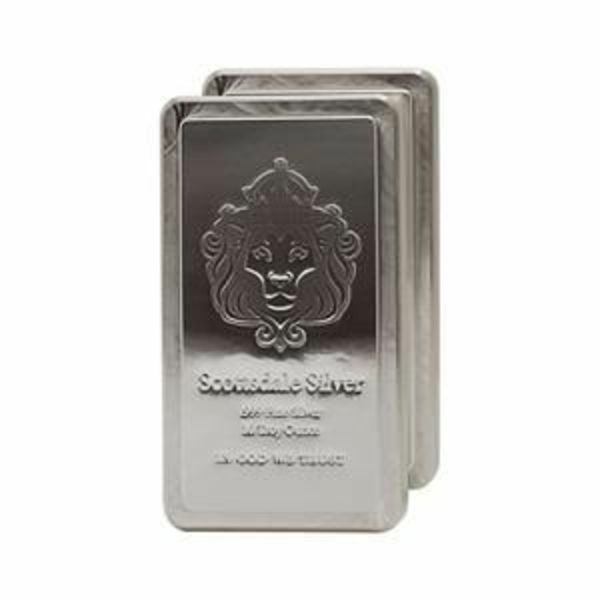 The Scottsdale 20 ounce silver contains 20 troy ounces of silver bullion. The melt value of one Scottsdale 20 ounce silver is $302.20 based on the current silver spot price. The average price for Scottsdale 20 ounce silver for the past 7 days is $345.15. 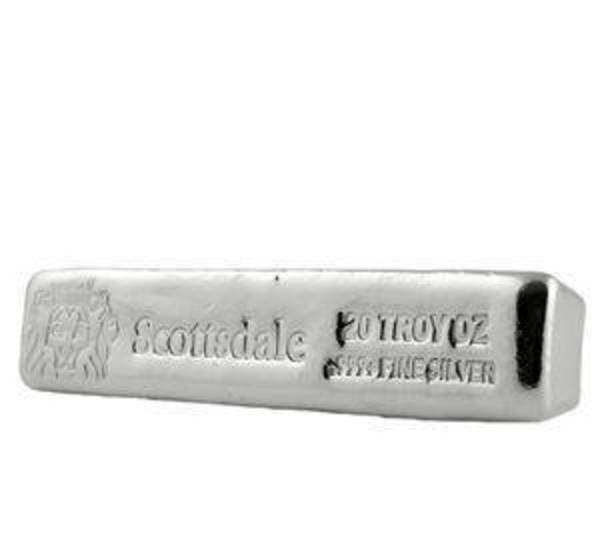 The 20 troy oz cast silver bar from Scottsdale silver is a popular item with stackers for it's unique "kit kat" shape. FindBullionPrices.com searches over 30 national, reputable and trusted bullion dealers to find the lowest prices on Scottsdale 20 ounce silver and other Scottsdale Stackers products. 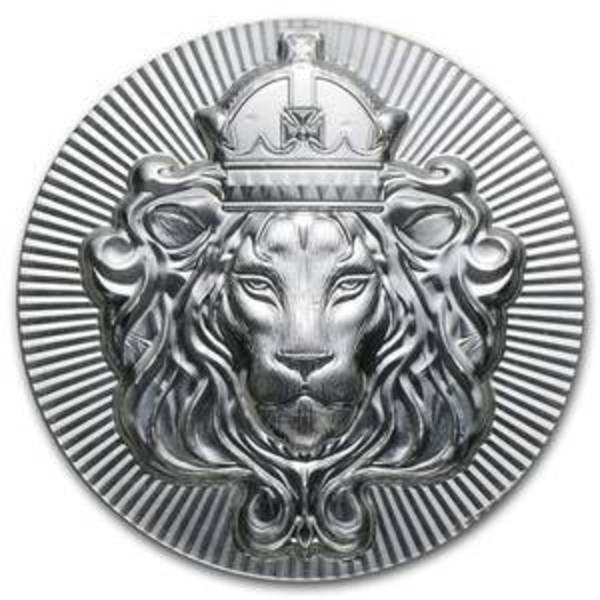 The prices on our site for silver bullion and are updated hourly and adjusted for silver spot price. We give you the tools to compare silver prices from reputable and trusted bullion dealers. Compare Scottsdale 20 ounce silver prices across bullion dealers to pay the lowest price. 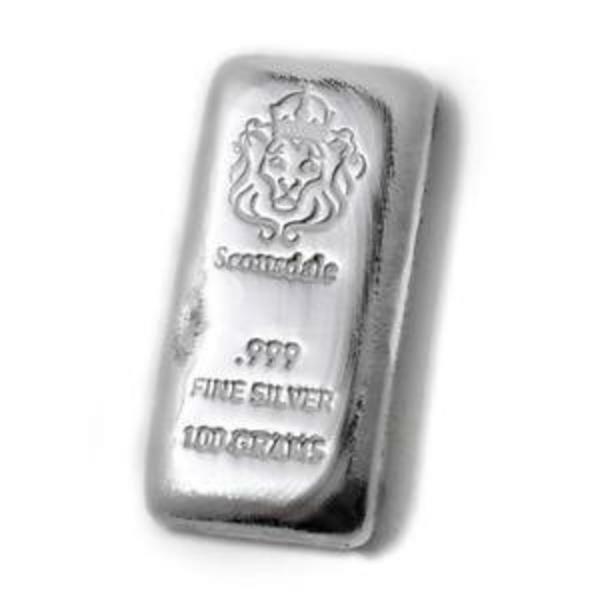 We will help you find the best prices for Scottsdale 20 ounce silver when you're ready to buy. You can compare bullion dealers and find the lowest prices for silver at FindBullionPrices.com. If you don't see something you're looking for Contact Us and let us know so we can add it. Search for more silver from United States.